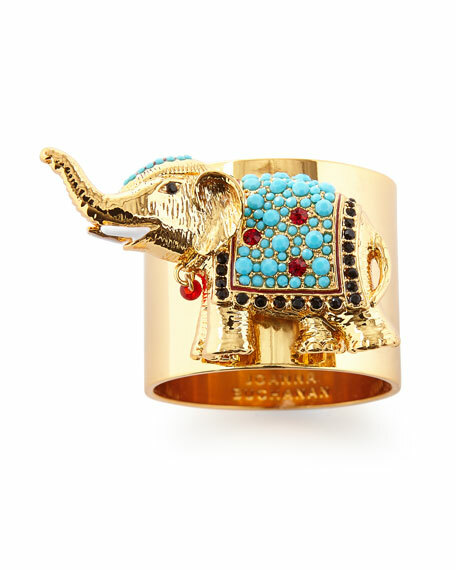 The elephant is a symbol of good luck and we think that is a wonderful thing to celebrate on a beautiful table. The little bead at the elephants neck dangles delicately. Set of two embellished elephant napkin rings.